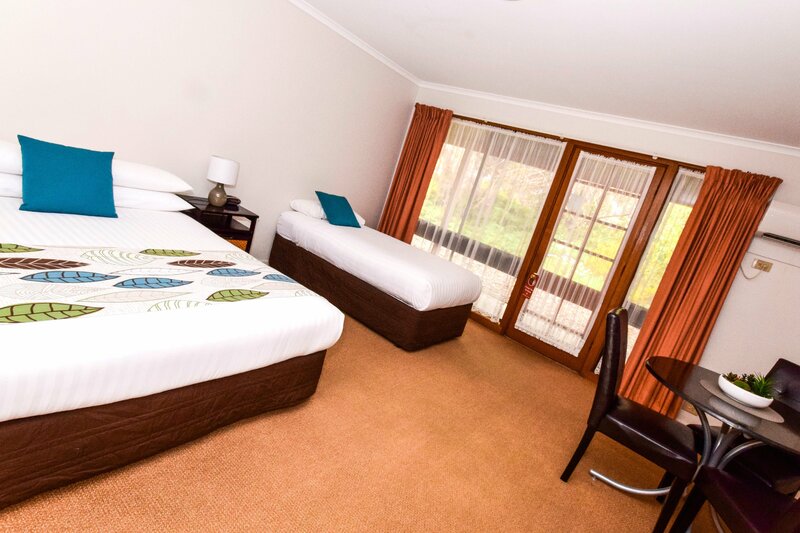 These refreshed Deluxe Twin rooms are spacious with a queen and single bed and dining setting. Cosy doonas with crisp white bed linen provide a fresh clean look and mattress toppers add that extra layer of comfort. Parking is directly in front of your door so no need to walk long distances carting luggage. All our rooms are ground floor as well. 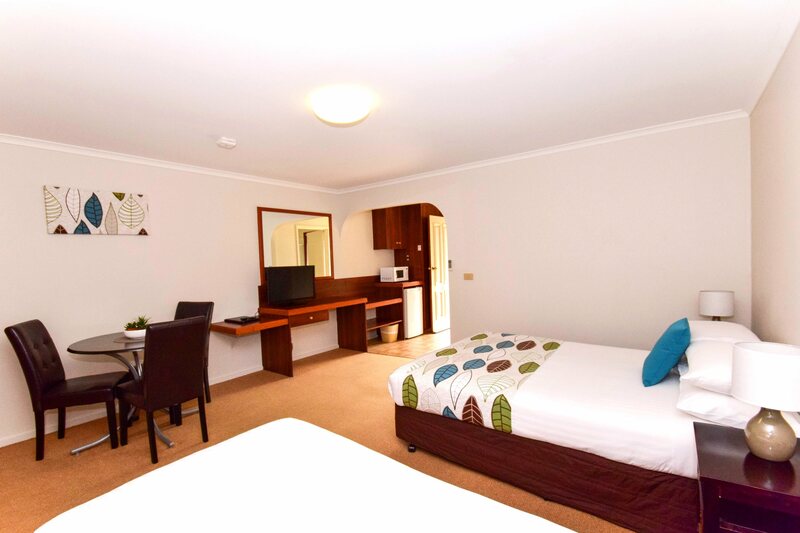 These rooms have reverse cycle heating/air conditioning, a large LCD TV, microwave, a bar fridge, kettle, toaster, hairdryer, iron, ironing board, crockery, cutlery and dish washing items. 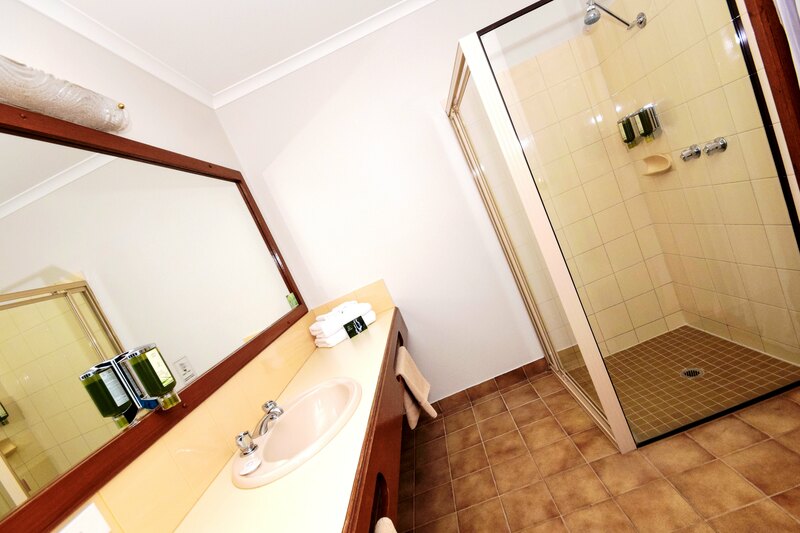 All linen, towels, complimentary tea, coffee, sugar, milk and bathroom amenities are also provided. 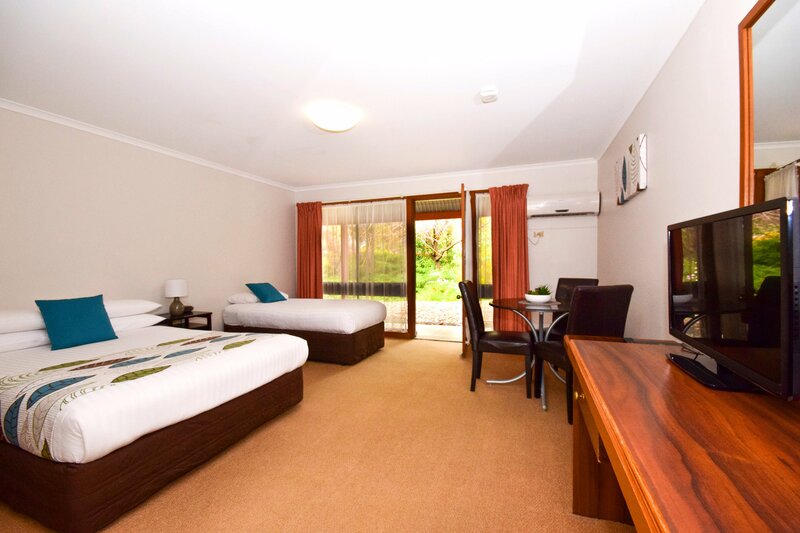 These rooms have free WiFi, are in prime positions and all our rooms open out onto the lovely garden courtyard. 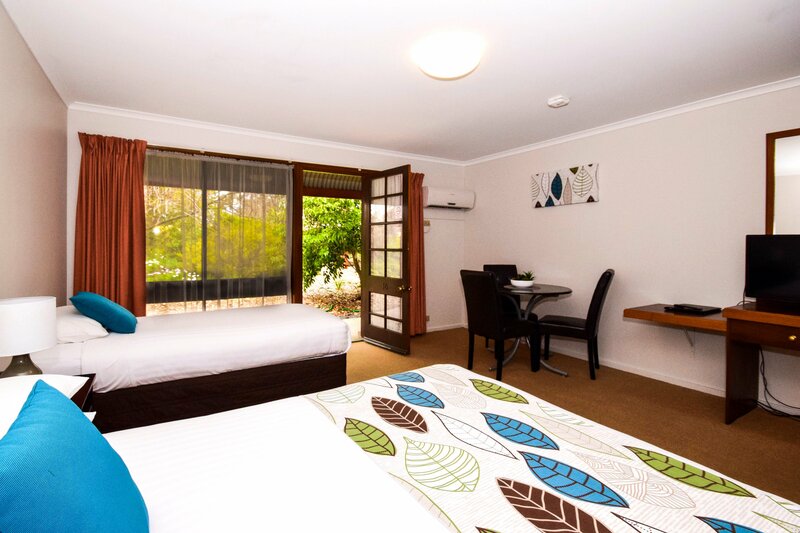 Book now and experience these comfortable rooms while enjoying your short break in the Paddlesteamer capital.